Bryannah James With a snowstorm approaching during Christmas Break last month, a school hockey team from the Anglophone North District was told to cancel plans to compete in a Nova Scotia tournament, says the superintendent. To read original article in Telegraph Journal, click here. When the team suggested they’d change the time they left to “dodge the storm, we said no," said Mark Donovan. "We cannot dodge storms. We cannot take that chance." Donovan spoke to the Northern Light the day before the 10th anniversary of the 2008 Boys in Red accident. 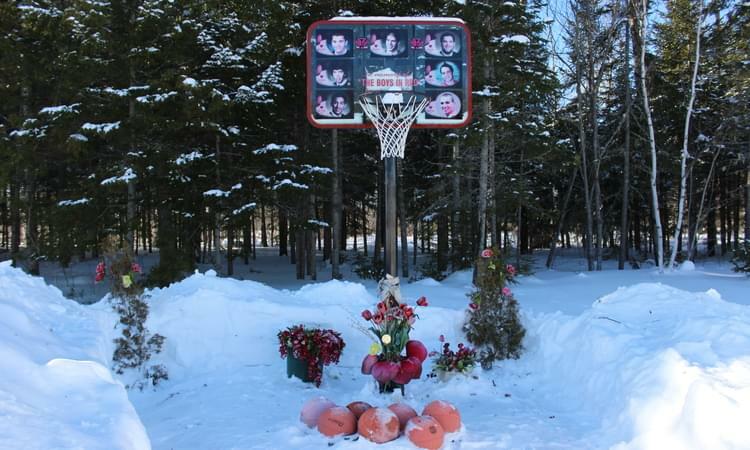 The crash claimed the lives of seven Bathurst High School basketball players and one teacher when their 15-passenger van collided with a tractor-trailer while driving home on a snowy, slushy highway from a basketball tournament in Moncton. Donovan said the memory of the accident is “always foremost in our minds” when making decisions about student travel “because of how it’s impacted our schools and our school district.“We will always do our best to mitigate that type of thing ever happening again ... It was so tragic and it was felt so deeply across our district,” he said.Javier Acevedo, Daniel Hains, Codey Branch, Nathan Cleland, Justin Cormier, Nicholas Kelly, Nickolas Quinn, and teacher Elizabeth Lord all lost their lives in the accident on Jan. 12, 2008 at 12:08 a.m. on Route 8, just inside Bathurst city limits. Following the accident, Isabelle Hains, mother of Daniel, and Ana Acevedo, mother of Javier, advocated for changes to make transportation of students safer across New Brunswick. The pair sought to get 15-passenger vans banned in the province and across the country and Hains also called for people driving school groups to require a Class 2 licence. The province agreed to ban use of the 15-passenger vans following the accident in 2008, but according to the Transport Canada website, “Transport Canada cannot restrict vehicle use” and the site says it is up to the province to determine what vehicles should be used for school transportation. “We went as far as we could go with the government,” said Hains in an interview, referring to her advocacy for the national ban of 15-passenger vans. “Now everything is in their hands. It’s the choices they have to make.” Hains said she’s seen some change for the better over the past 10 years. 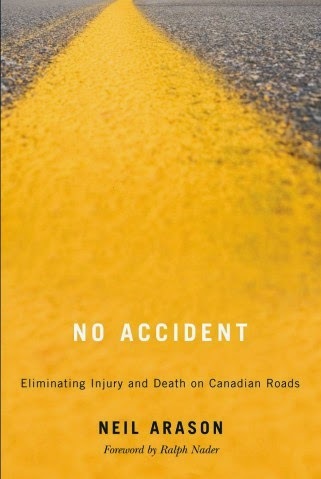 “I believe we did prevent tragedies from happening again.” A coroner’s inquest, ordered following the 2008 accident, led to 24 recommendations. In 2009, 20 of those 24 recommendations were implemented by the province. Also in 2009, the Department of Education enacted two new policies: Policy 512 for extracurricular activity vehicles and Policy 513 for transportation to and from off-site school-related extracurricular activities. Under Policy 513, the superintendent can cancel activities if driving conditions are hazardous or if transportation doesn’t meet safety requirements. The policy dictates there is to be no travel between midnight and 6 a.m. unless it’s authorized by the superintendent, groups must be prepared to stay overnight if road conditions become hazardous, buses for such events must be equipped with winter tires between Nov. 1 and April 30, and 15-passenger vans are banned for use in transporting students. Drivers are required to take a training program, must complete an inspection of the vehicle before each trip and must monitor weather conditions throughout the trip. The policy also outlines that a driver can undertake only 13 hours of driving time in one day or be “on duty” - driving and other activities - for 14 hours in one day without taking eight hours of off-duty time. Although Hains fought hard to have drivers for school activities require a Class 2 licence no matter what, that regulation was never implemented.Appendix C of Policy 513 states drivers of a large bus - 25 passengers or more - must have a Class 2 licence, drivers of a small bus - 10 to 24 passengers - must have a Class 4 licence and drivers of passenger cars or vans must have a Class 5 licence. Andy Clark, principal of Hartland Community School and president of the New Brunswick Interscholastic Athletic Association, says the schools and, in turn, the association follow the district’s policies when determining travel safety for teams. Clark said they have all become more cognizant of the weather since the 2008 accident. “Schools and districts are much more apt to say ‘No, I’m staying an extra day’" if the weather turns bad, he said. 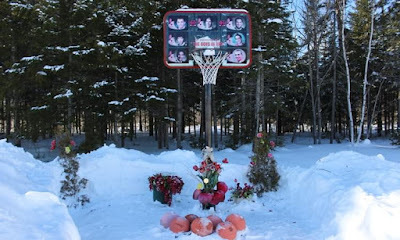 Clark said the NBIAA now encourages teams to get games in early in the season to allow time for makeup games cancelled due to inclement weather. 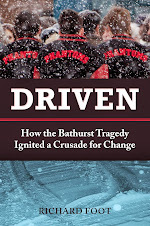 “It’s always tough to make decisions no matter what you read and what policies you follow,” said Shaun MacDonald, principal of Bathurst High School and now coach of the boys' basketball team, noting when the school’s teams and groups travel in the winter, the first thing they do is look at the weather and discuss whether it's safe to travel. The Northern Light requested an interview with Education Minister Brian Kenny but were told he was unavailable for comment. In an email statement, Kelly Cormier, communications officer for the department, said policies 512 and 513 were established and implemented following the 2008 accident to “strengthen safety and security of students, staff and volunteers while participating in school-related extracurricular activities.” She said the policies took into consideration the recommendations of the coroner’s inquest. To read original article in Telegraph Journal, click here.